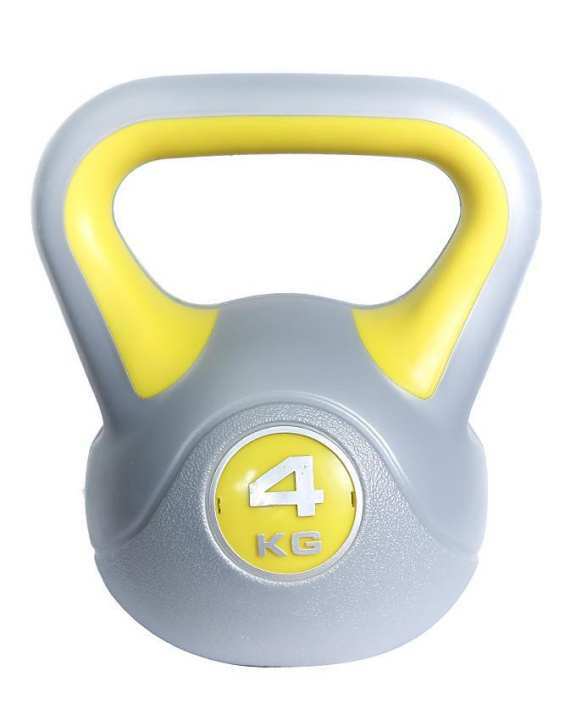 Kettle Bell 4Kg are available in varieties of shapes, most interesting being hexagonal. The hexagonal ends offer good support, have flat base. The best feature of Kettle Bell 4kg is that they have ergonomically carved edges giving unprecedented support and safety to the user. A combination of small weights can also be used to make Kettle Bell 4kg. These are total-body shaping tools that do not occupy much space. You may ask for racks too for more organized storing. The Kettle Bell of this weight promote muscle strengthening and contouring. Thus, these are helpful in getting chiseled body. Apart from toning the upper body, these can be combined with squats and lunges to tone calves, hamstrings, glutes and other lower body parts. Good product, easy to use, perfect!